There is something to be said about the art of the “morning of”. The nervous jitters, the swirling magnitude of the day ahead, and the moments full of careful planning and intention. This inspiration shoot from Rosenlee Photography captures all of the intimacy and beauty of this special time. Full of stunning details coordinated by Johanna Lee Weddings & Events, all brides should take note of the full effect of timeless calligraphy and thoughtfully chosen heirlooms. 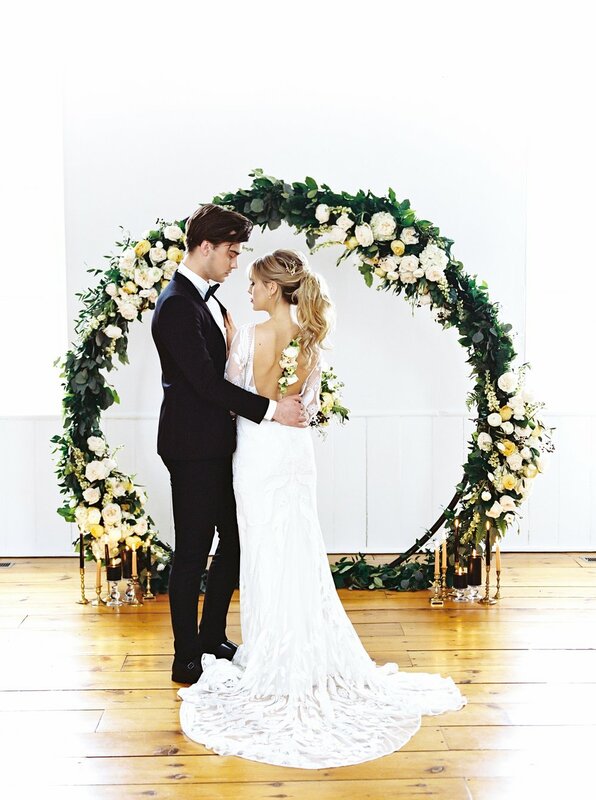 Aspen Florist crafts a textural, yet romantic design for a one-of-a-kind elopement. More from the photographer: “The morning started off with a bridal boudoir session featuring beautiful pieces from Southern Charm Vintage Rentals. Old fashioned mirrors, rotary dial phones, and bespoke makeup accessories. Our model was wearing a beautiful sheer housecoat from Lover’s Lane and had on Savannah Miller lingerie. Pancakes were made and styled beautifully with marble cake plates and blueberries. Morning mimosas, black rimmed plates, and cream and black table runners pulled our colour palette and theme together beautifully. The dessert station was equally as stunning with delicious pastries, a his and hers cake, and a variety of fruits. 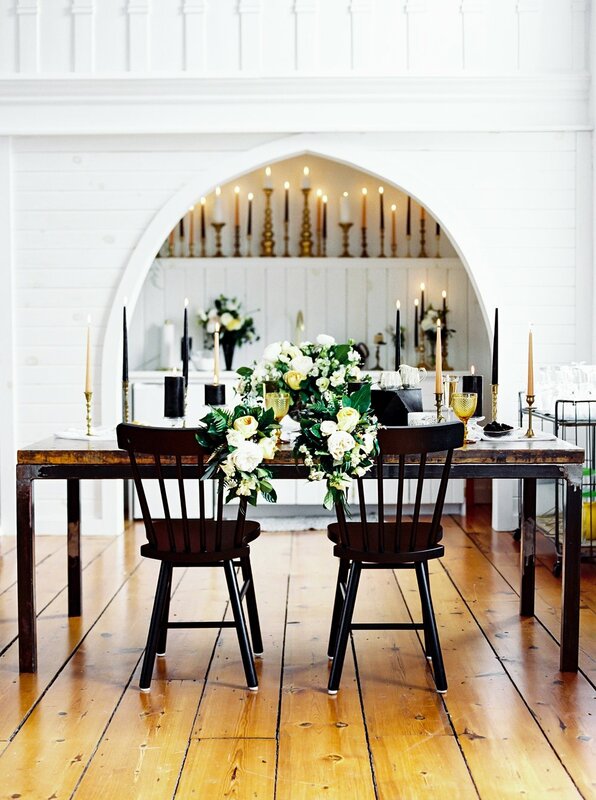 Gold and black tappers were used to help create a romantic atmosphere and florals were used everywhere.